Starter Motors - Are all variants interchangeable? Lancia Beta Forum > Technical stuff > Electrical > Starter Motors - Are all variants interchangeable? Finally got round to taking the starter motor off my car - solenoid quite regularly fails to operate when car has stood for an hour after a run. Was looking to just change solenoid but it would seem that these vary depending on starter motor type fitted of which I think they were quite a few different variants (mine is a Marelli unit / Fiat 4294494). Will probably get whole unit professionally refurbished. In meantime have seen rebuilt/refurbished units at good prices online, definitely for beta but different OEM part reference nos. Q - Will any Beta starter motor fit any Beta? Re: Starter Motors - Are all variants interchangeable? I'm not sure, some versions have different sized starter due to restricted space how interchangeable they are I'm not certain. Better really to get the existing one rebuilt then you'll be sure it's right. The starters do get sticky with age so just changing the solenoid probably wouldn't fully solve the problems. Thanks for the advice - Will definitely get existing unit refurbished sometime but have seen very good value rebuilt units available ex-stock so tempted to get another if compatible. Pretty certain current problem is only solenoid related but given age then agree it makes sense to have whole unit fresh and healthy. Current unit on car is a Fiat Marelli item and the solenoid mechanism is different to that on Bosch units (more common) which makes the potential option of just replacing solenoid complicated. Various online cross reference part interchangeability tables are unclear and conflicting. Instinctively I would think any similar period Beta starter would fit as I can't imagine that the cars would be built with physical differences in location/mounting arrangement for different starters? Took a punt and bought this remanufactured/new Bosch unit - £57 delivered!! Sense its old original stock rather than refurb/rebuild Seems to fit no problems, will mount properly and test later. 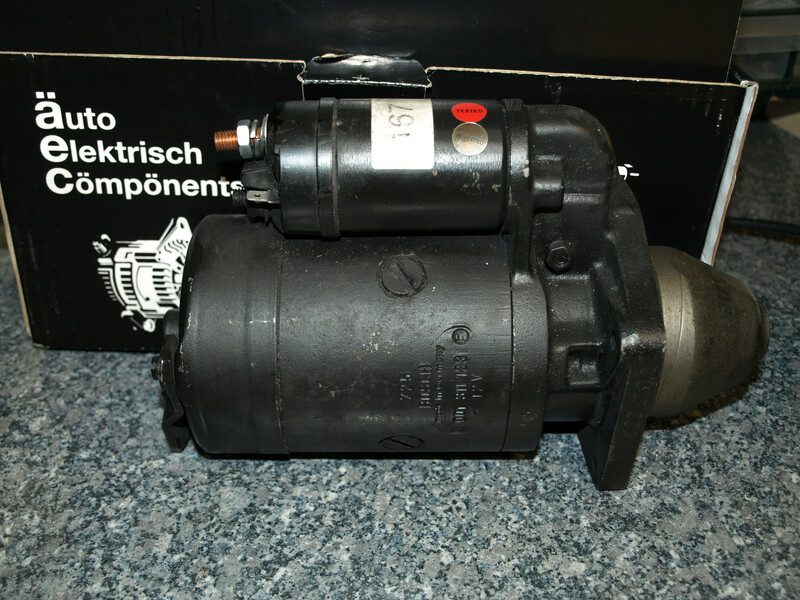 New Bosch solenoids for these units are inder £20. Fingers crossed!!! !